The GE Vivid 3 is easy-to-use, it offers exceptional image quality, and its technological excellence brings cardiac imaging processing to all of your shared service applications. 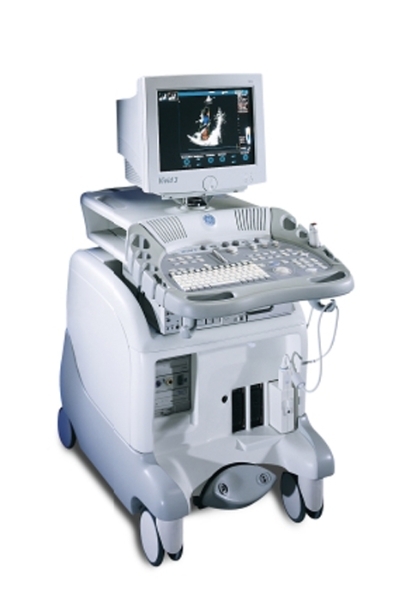 This ultrasound is known for its raw data post processing, high frame rates, high-resolution image quality, and speed of application. With up to 18 probes, the GE Vivid 3 is suitable for many clinical applications. The GE Vivid 3 ultrasound also includes the GE TruScan Architecture, including coded harmonics, VScan, ComfortScan, and TruAccess, all of which allow comprehensive data management. It also allows operators to view, manipulate, optimize, and analyze the resulting high-quality images.